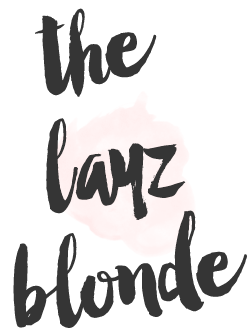 the layz blonde : Target Budget Challenge! First pick was the HARDEST of the bunch...Girls' Night Out with a budget of $25! We attempted to find a cute jumpsuit, but everything was over $25 ($27.99, $33.99, etc...) but did find a black jumpsuit for $12.99. Then we set out to find something to go over top and that was a mega bust. NOTHING was going to keep us under $25, so it was back to the drawing board. I found a red dress that Jen kept calling a "shirt" (bahaha, it really was a dress! ), but I didn't feel confident enough to take a pic in just that, so it was time to hit the clearance to find something to go with it. I found this weird crop top for $10 (!) that I attempted to wear with a $13.99 pair of pants, but nope, not good. Then I had a stroke of genius and put the crop top over the red dress (still not a shirt, Jen) and BAM! A GNO look for a total of $22!!! With that one under our belt, it was time to pick from the remaining and it was...Brunch with a budget of $50! Phew, okay, the pressure was starting to come off. We went back to the jumpsuits and I knew I MUST wear a hat. It was a lot quicker this time and we ended up finding a winner really quick! It was time to pick again and I was keeping my fingers crossed that we would get the highest amount for the spring wedding look. When Jen picked "wedding" and then picked $65 I was thanking my lucky stars cause it was proving to be SO tough when the budget was low. I knew with $65 I could get a complete outfit including shoes! I had eyed (& put in the cart!) a gorgeous floral jumpsuit that I wanted to use for the Spring wedding. Since we already had that picked out we set out to get jewelry, shoes, and a bag to complete the look. Jen picked out shoes while I took an unmarked clutch to the service desk to get the price or haggle if I needed the price to fit in the budget (ha, I don't mess around when it comes to content!) The woman finally came back and said a price that was music to my ears: $6.88! SOLD! (which side story, she was like let me make a tag for you to buy and I said oh no, I'm not buying it. Then she said "oh, okay, I'll just bring it to customer service" to which I said "no, I need it now!" And she looked at me funny and handed it over slowly as I said "I mean I'm not sure if I want it yet, I'm looking for something to wear with it." She legit thought I was a crazy person.) Okay enough talking...here's the look! It was time to pick again and this time Jen drew shower (either bridal or baby, didn't matter!) and a budget of $35! Okay, we totally got this. I ended up picking up something that I spotted earlier on and was going to use for brunch, but went in a different direction cause of the hat. I really loved this jumpsuit and got tons of compliments on it when I came out to show Jen. *ps-these links are all affiliate links and I'll get a small commish if you use them! Which means I will heart you forever-eva! I LOVED this blog post!!! How fun!!! I wanna try now!